Leafware® is driven to making our world greener and making it safe for our children, for many generations to come. They are constantly searching for new ways to find ancient solutions for the modern world, with their attention focused on ecologically safe and sustainable products. 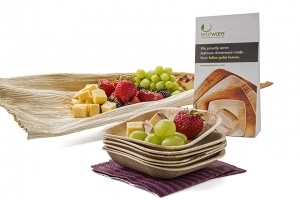 Leafware® uses naturally shed leaves to produce an eco-friendly, versatile and elegant dinnerware. The fallen leaves are carefully harvested, hygienically cleaned; pressure washed, scrubbed and sun dried. Then pressed into various shapes to form plates, bowls and trays. Usage of fallen leaves eases the economical pressure to cut down trees and therefore preserving out planet’s true identity. 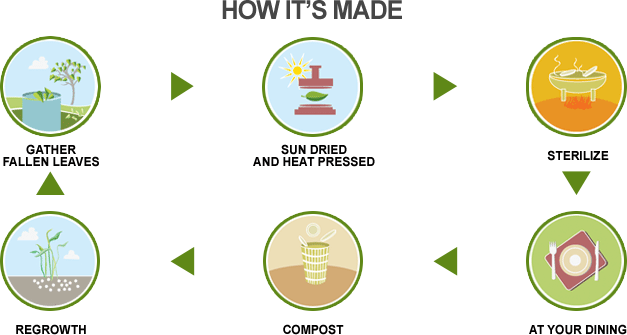 Leafware products are sustainable produced and provide a source of living for many families in small communities of South Asia. 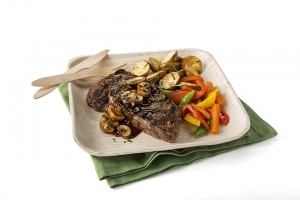 If used at home or for parties and festivals just use them and put them in the backyard compost or dispose of them as you would any other compostable product.